Raised locally in the PTC and Newnan area Bianca started Native Beauty bar to bring the art of threading, makeup, and eco friendly beauty living a little closer to home. Bianca has been in the makeup artistry industry for 11 years and has been threading for 3 years. Upon graduating from the Art Institute of Atlanta Bianca continued to pursue her passion for both makeup and business ownership. Bianca was able to master her makeup skills while working for MAC COSMETICS for 4 years and continuing on to Manage a beauty Bar in Frederick, MD. This is where she was able to receive her certification in brow threading from the Von Lee international school of aesthetics and mastered the art of threading . 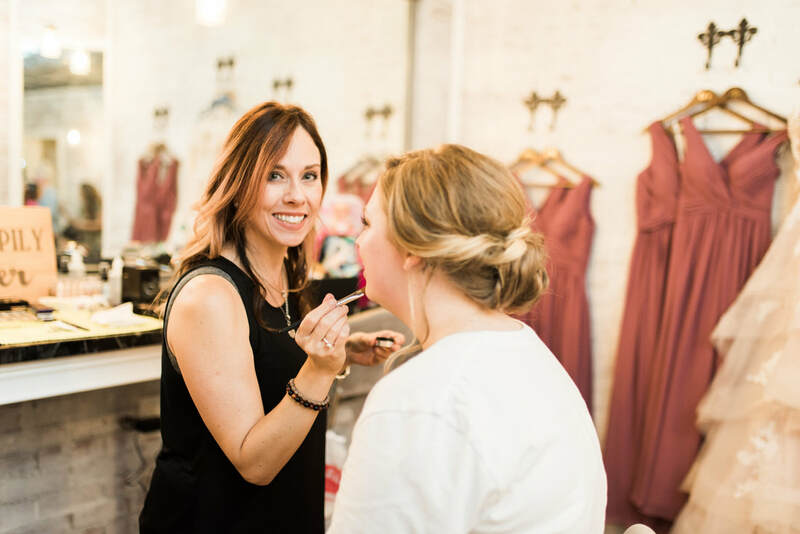 Bridal and special event makeup is a big part of Native Beauty Bar where Bianca and her team thrive. With more than 200 weddings and specials events under Bianca's belt and individuals equally talented the Native Beauty Bar team is ready for your next big occasion!! ​"I fell in love with the happiness I could bring to people by painting their faces, the magic of a brow cleanup, and being happy with what I do daily!"